whole mix. They are : compression, hard clipping, soft clipping or saturation. highest peaks and improve overall loudness, often more natural sounding solution than compressing the signal. 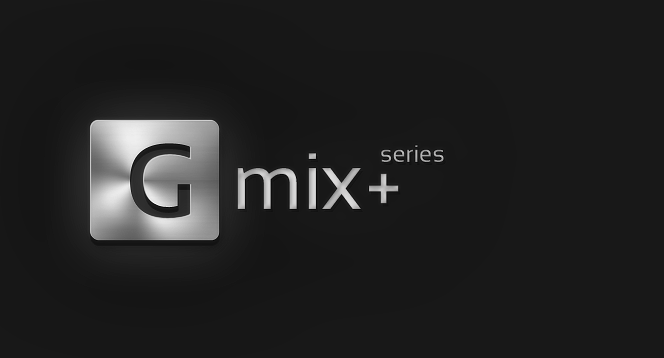 saturation from an analog mix console saturation to clean sounding saturation of modern analog tape. signal. With this fader you can set amount of soft clipping / saturation. 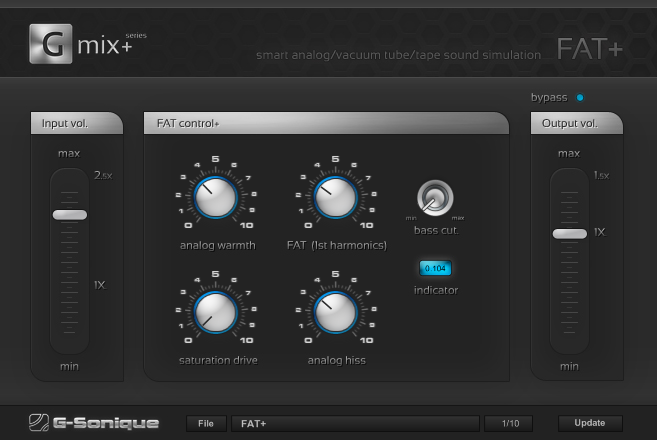 FAT - this knob offers you 1st harmonics that are very difficult to emulate with digital techniques / algorithms and only few plug-ins offer this feature. 1st harmonics represent fat and massive sounds from vacuum tubes and many engineers call this 1st harmonics secret the sound behind vacuum tubes. Saturation drive - this knob offers you more hard analog soft clipping / saturation with a harder sound. minimal or zero noise to a very intensive noise in order to eliminate/mask possible distortion. cut some sub-bass you can make your sound louder without distortion.